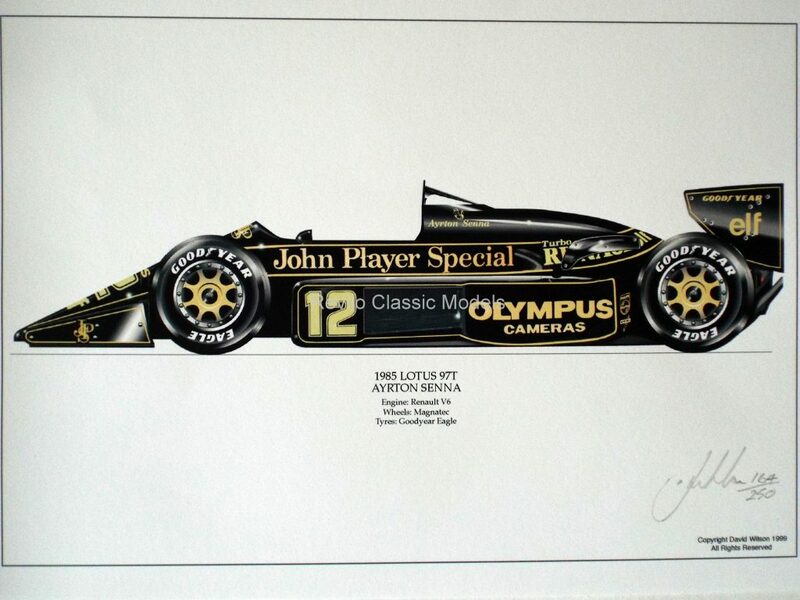 A superb image of the 1985 Lotus 97T #12 as driven by Ayrton Senna, the car in which he won his first ever Grand Prix at Estoril, Portugal in the pouring rain, taking pole position and the chequered flag. The print is produced on quality art paper size A4, 11.75 x 8.25 Inches. 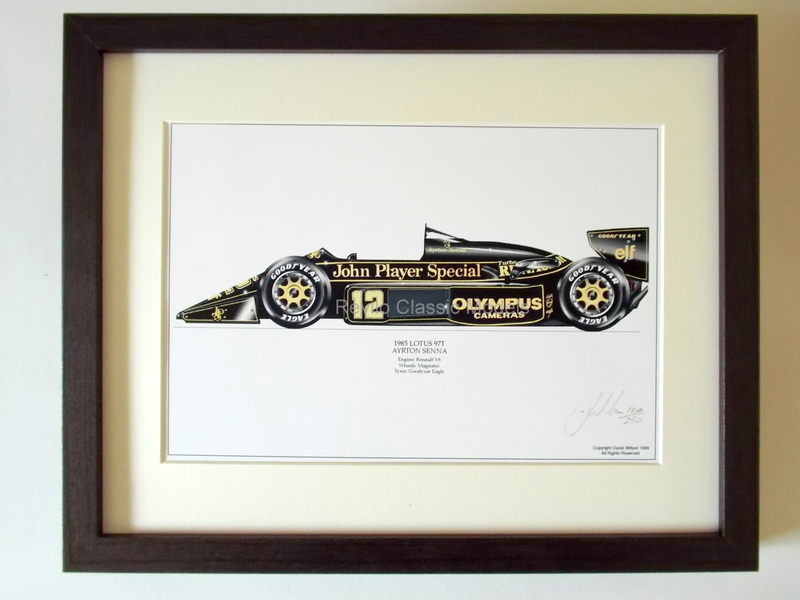 The Print is one of a Limited Edition of just 250 signed and numbered by the artist.